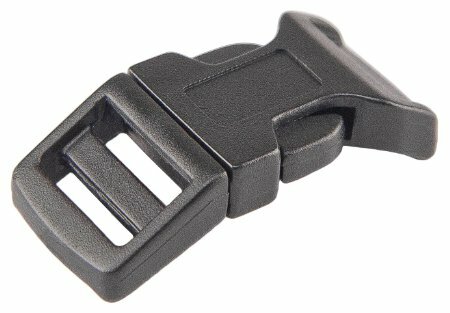 Black Contour Single Side Release Buckle - JT's Outdoor Fabrics Inc.
Classic Contour Single Side Release Buckle - Black Acetyl. Thumb and finger release buckle. Webbing is sewn and fixed to the female side of the buckle and on the male end the webbing is threaded and adjustable. These Buckles are long lasting, weather resistant and offer a degree of self lubrication so the moving parts will not stick. Size of the buckle indicates the webbing width that cleanly fits through the buckles eye.